Never be stuck trying to find an obscure number again. Our community directory is an easy to follow list of local businesses and services. Whether you’d like to dine out or shop for food, need an emergency number, it’s all there. CLICK HERE for Directory. Wrapped around our arms in those square black boxes, it’s easy to forget how holy Tefillin are. Containing the name of Hashem, each time we wrap ourselves in those black straps we are forging a bond with our Creator. Like Mezuzot, Tefillin contain holy parchments that need to be checked from time to time to ensure they are fit for use. 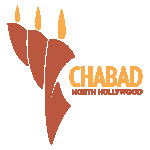 Food drives are held at various times throughout the year, in addition Chabad of North Hollywood offers help to individuals or families that are in need of food. To participate in these drives or to help hungry families please contact our office.